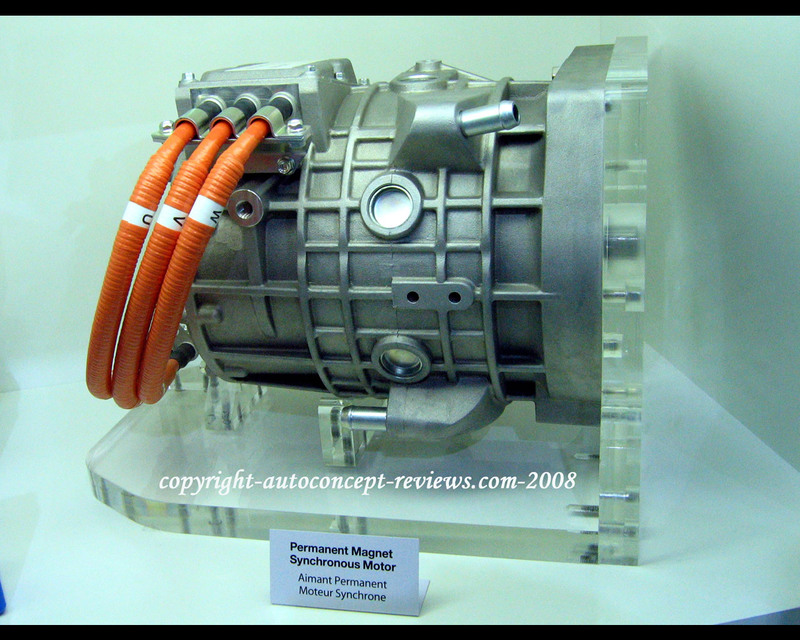 Since 1993 Mitsubishi Motors Corporation has committed R&D efforts to contribute to a cleaner environment. 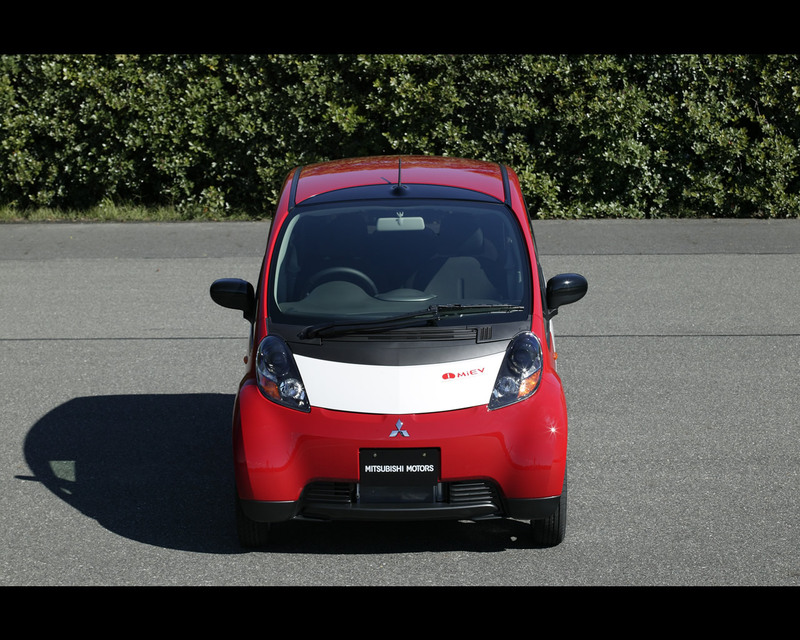 In 2006, Mitsubishi started developing an electric vehicle, called i MiEV, based on i minicar essentially sold in Japan . 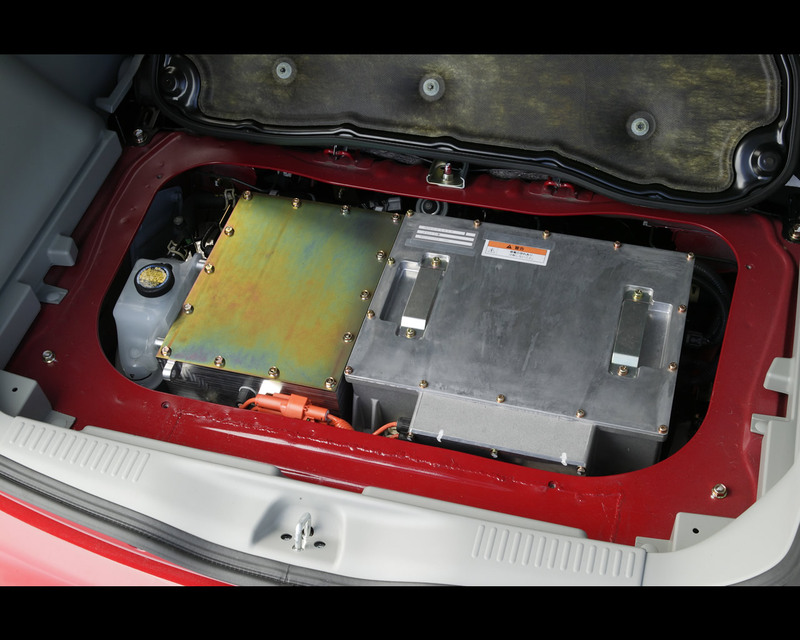 As a reminder, the i minicar platform utilizes a rear midship conventional petrol 660 cc engine and floor mounted fuel tank; these element were replaced with a lithium ion battery pack, a permanent magnet synchronous 47 kW output motor, the inverter and other EV components. 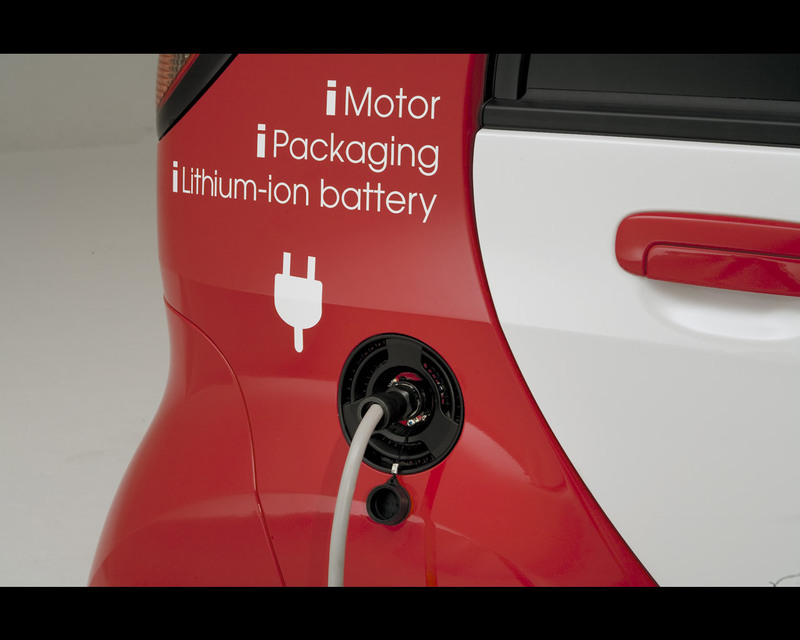 Only a few modifications to the body structure were required to turn the gasoline engine "i" minicar into the electric i MiEV. "i" rear-midship layout made this minicar the ideal candidate for such a venture. This layout enables the power train to be placed in front of the rear axle line, which ensures ample cabin space for the 4 passengers. 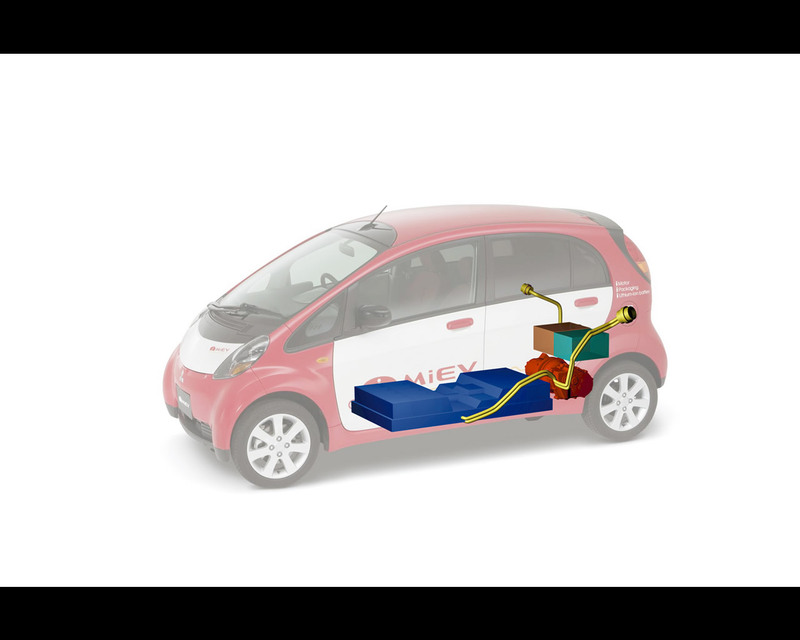 It also provides ample space for battery storage, which can achieve the desired 160 km driving range between charges; the installation of the batteries under the cabin floor lowers the center of gravity. Several fleet test Mitsubishi i MiEV have accumulated on-road evaluations during 2007 and 2008. 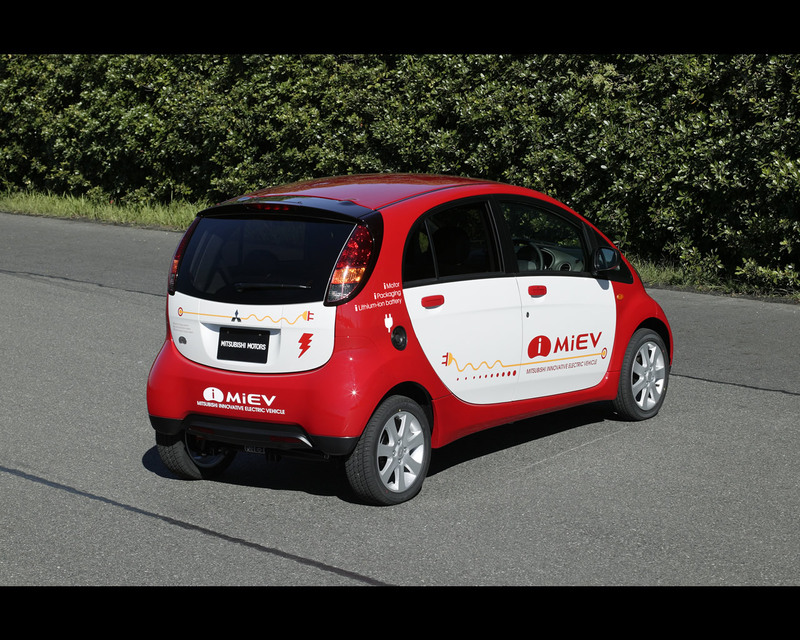 The Mitsubishi i MiEV is intended to be launched on the Japanese market in 2009 before being offered for other markets. An on board charger allows the vehicle to be charged at ordinary electric outlets; it takes 5 to 7 hours for a full charge on 15 Amp/200 Volt or 11 to 13 hours on 15 Amp / 100 Volt . A quick charger operating on 3-phase 50 kW/ 200 Volt requires 20 to 25 minutes for 80% charge. The Mitsubishi i MiEV proves to be more efficient than the base gasoline model in significant aspects such as better performance (31% quicker in 40-60 kph passing acceleration), stronger torque (180 Nm rather than 94 Nm of the 660 cc turbo-charged engine), quietness (5 dB lower) and lower level of vibrations. For the batteries, Mitsubishi Motors Corporation started in 2007 a joint venture, called Lithium Energy Japan, with specialist GS Yuasa. 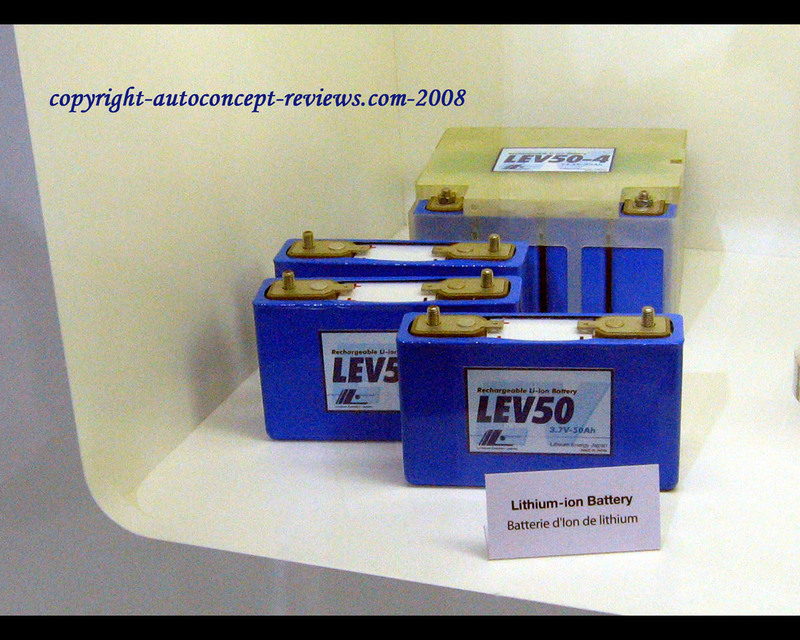 The joint venture is intended to develop and manufacture lithium-ion batteries for automobile use; on August 6th 2008 a new large scale production site for lithium ion batteries started operation in Kusatu City, Shiga Prefecture. 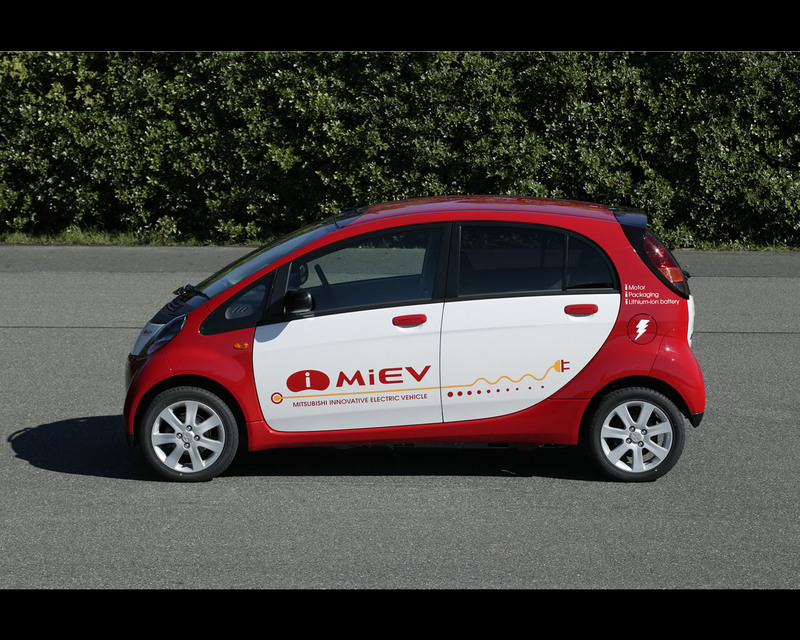 The staring production target is for the equipment of 2.000 Mitsubishi i MiEV by 2009. 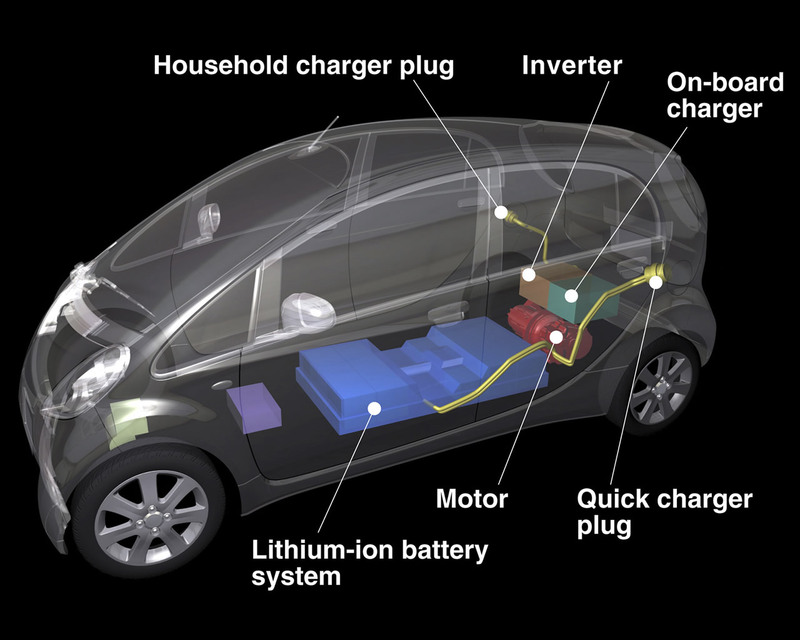 The Mitsubishi i MiEV will utilize a high density lithium-ion battery pack consisting of 22 modules with 4 cells per module. 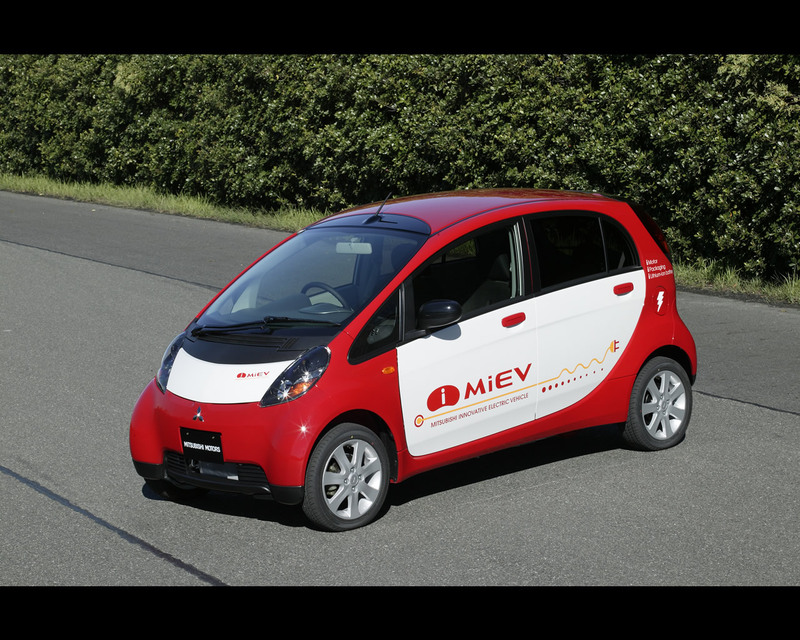 Translating into economical terms, the running costs in Japan for the i MiEV are one third ( in daytime charge) or one ninth ( for nighttime charge) compared to those of a gasoline powered minicar. 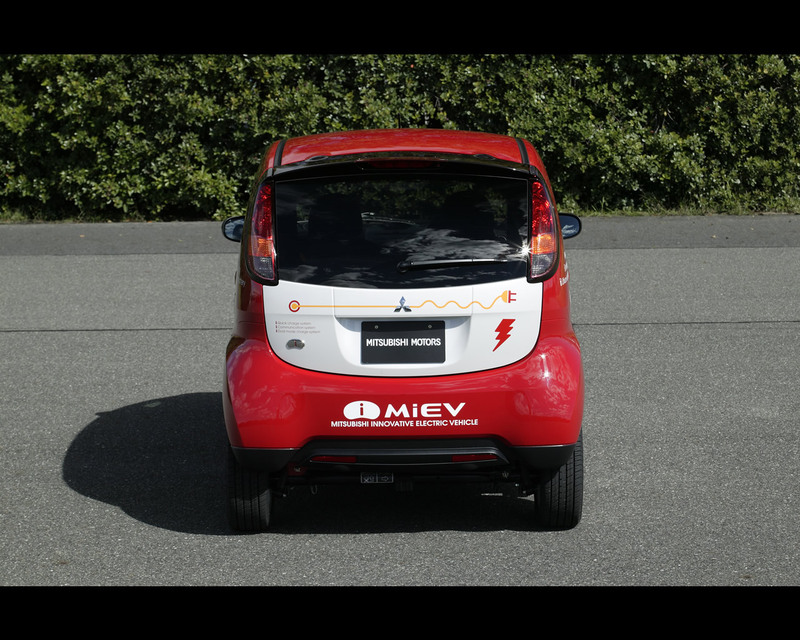 The Mitsubishi i MiEV weights 1.080 kg and offers a top speed of 130 kph. Cruising range with a single charge depending on driving pattern will vary between 130 and 160 km. 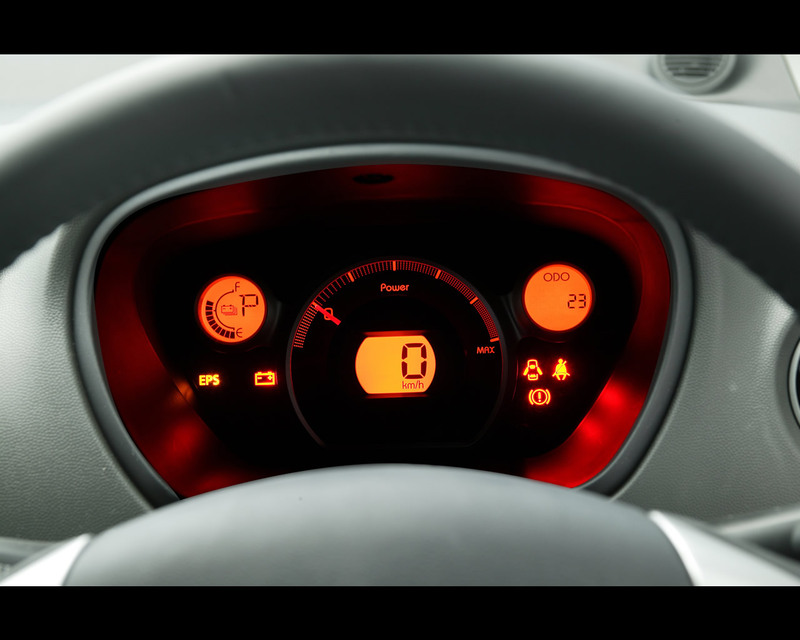 The dimensions of the i MiEV correspond to the Japanese minicar, that is 3.395 mm long, 1.475 mm wide and 1.600 mm high.